Good morning. It's Wednesday, Feb. 6. 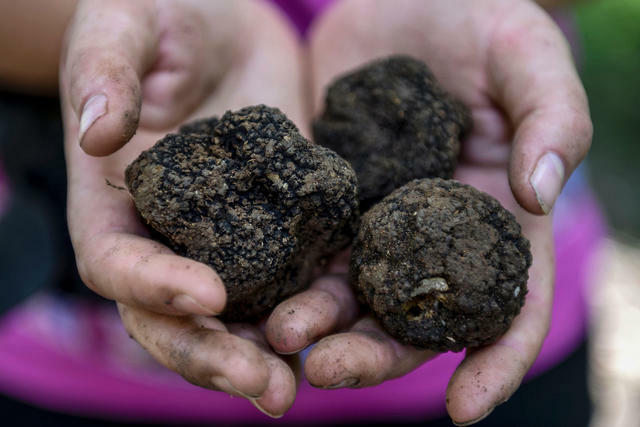 • California farmers are awash in precious black truffles. • An answer emerges to the mystery of honeybee die-offs. • And a coastal gem in Marin County is gutted by Airbnb. President Trump spent 15 minutes during his State of the Union speech laying out his case for a hard line on immigration, depicting the southern border as a lawless haven for "ruthless coyotes, cartels, and human traffickers." In a response, California Attorney General Xavier Becerra vowed to sue if Trump invokes a national emergency to build a border wall. "We are ready to reject this foolish proposal in court the moment it touches the ground," he said. Speaker Nancy Pelosi and Vice President Mike Pence applauded President Trump on Tuesday. 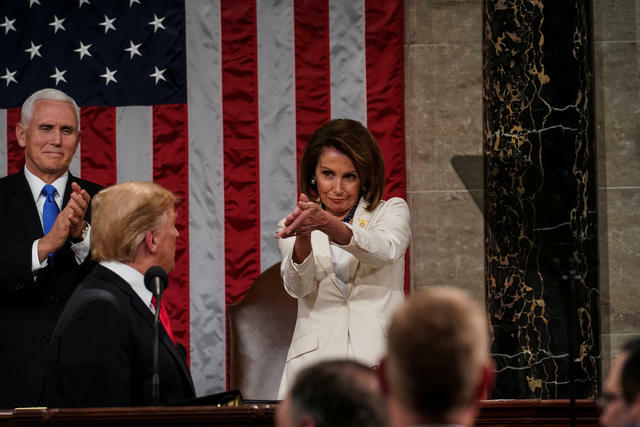 House Speaker Nancy Pelosi delivered a vivid response to Trump's remarks — without speaking. On TV screens, the president's rival hovered over his left shoulder and made little effort to disguise her displeasure or bemusement. Pelosi smirked, shook her head, and rolled her eyes, including when he called for an end to "ridiculous partisan investigations." Police unions have been fighting a new transparency law designed to increase public scrutiny of law enforcement records. Now they appear to have an ally in state Attorney General Xavier Becerra, who rejected a request to release misconduct files about agents in his department. A leading government accountability group warned of a ripple effect of refusals across the state. 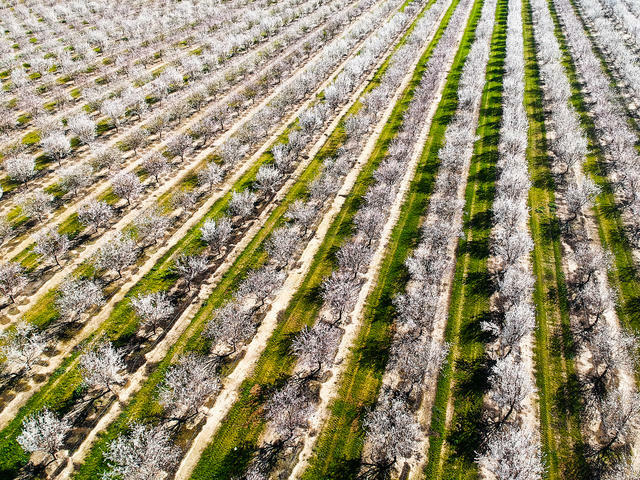 Rows of almond trees line the San Joaquin Valley. California grows more than 80 percent of the world's almonds. But it couldn't do so without the help of honeybees, which are rented by the truckload from other parts of the country. So mysterious die-offs of the pollinators have been a source of profound worry. Now scientists think they know what's going on: insecticides and fungicides deemed harmless in isolation turn into deadly cocktails when mixed. Meteorologists are introducing a new scale that will rank atmospheric rivers. The conveyor belts of airborne moisture from the tropics deliver as much as half of California's water supply, but also unleash floods and mudslides. The rating system will use a 1-through-5 scale that ranges from "weak" to "exceptional." 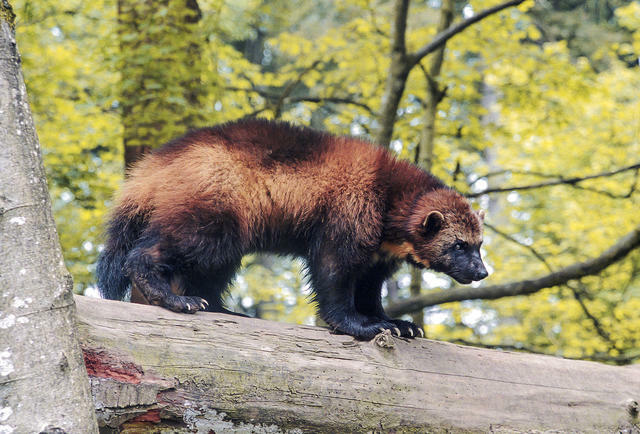 Wolverines once roamed the Sierra Nevada before being wiped out by settlers. A coalition of scientists is pushing to reintroduce wolverines in California. Members of the weasel family, wolverines are less controversial than wolves, whose reintroduction has been opposed by livestock owners. But don't expect to encounter them. Wolverines prefer remote wilderness above 9,000 feet. 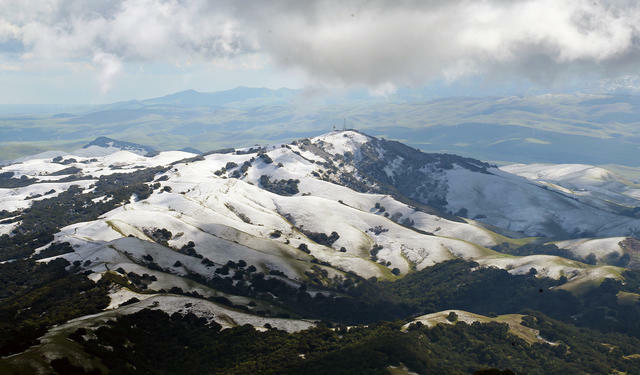 A snowy view of the East Bay's Morgan Territory on Tuesday. A cold storm delivered a rare blanket of snow to the Bay Area's peaks and hillsides on Tuesday. It dusted San Francisco's Twin Peaks and accumulated enough in the mountains to pack snowballs. Napa vineyards sparkled white. "It doesn't snow often," a grape grower tweeted, "but when it does, it's absolutely breathtaking." Here's a bunch of photos. A Vallejo police officer was placed on leave after he tackled a bystander who was filming a traffic stop. Video of the incident was shared widely online. It turns out the officer, David McLaughlin, has faced scrutiny for excessive force before. Last August, he was captured on video pulling a gun on a man, while off duty, during an argument in a parking lot. 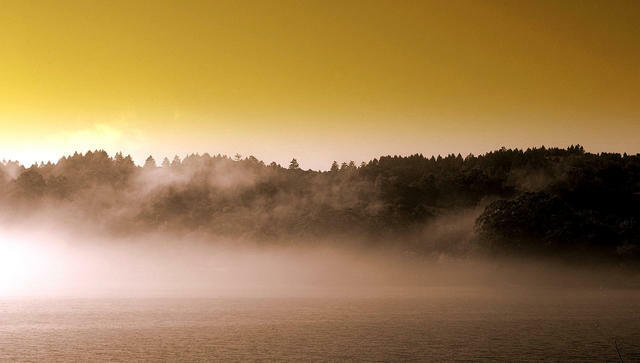 Bolinas is nestled beside a lagoon. Bolinas, a preternaturally beautiful beach town about 20 miles north of San Francisco, has a reputation for distrusting outsiders who might despoil its paradise. Now a different kind of threat has emerged: Airbnb. Locals say landlords have been relentlessly turning housing for locals into short-term rentals for tourists. On weekdays, many homes are vacant. "It's like the aliens had come and abducted everybody except for a couple of houses," one resident said. Black truffles are prized for their intense flavor and aroma. For the first time, California has a black truffle season. Since the 1970s, millions of dollars have been invested trying to grow the elusive fungus in American soil, with little success. Now, after a decade of effort by about a dozen farmers, Northern California is suddenly awash in the luxury ingredient, which can fetch as much as $1,200 a pound. It was on this week in 1885 that Eureka expelled its entire Chinese population. A city councilman had been struck and killed by a stray bullet during a shootout between two rival tongs. A white mob formed, erected a gallows on the edge of Chinatown, and gave the area's residents 24 hours to leave, or else. Over the next few years, further ethnic cleansings were carried out in nearby communities, and in 1890 a local business directory proudly declared Humboldt "the only county in the state containing no Chinamen." 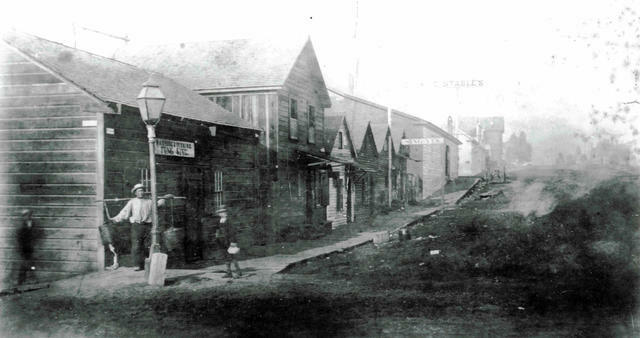 Before the expulsion, Eureka's Chinatown was not much smaller than that of San Francisco. Had the events of the 1880s played out differently, a Humboldt State professor said, "We would have a Chinatown in Eureka." 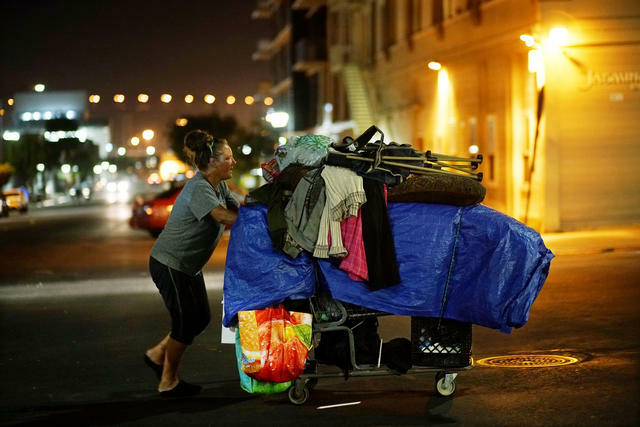 A homeless woman pushed her things in downtown San Diego. San Diego repealed a quarter-century-old ban on living in cars. Supporters said the repeal would help unwind the criminalization of homelessness. A council member portrayed the step as a lesser of two evils. It's not a permanent solution, he said. "But 100 percent of the time I'd rather have someone sleeping in the car than on the sidewalk." Recent storms have flushed vast amounts of trash out to the ocean in Southern California. Its effects have been dramatically evident at Seal Beach, a typically picturesque setting that's been transformed into a virtual landfill of plastic bottles, diapers, and bits of Styrofoam. "It was horrifying, that's the only way I could explain it," a beachgoer said. The pilot of a small plane that crashed into a Yorba Linda neighborhood this week had false credentials identifying him as a retired Chicago police officer, the authorities said. Antonio Pastini was killed along with four people in a home struck by the aircraft. The cause remained unknown. 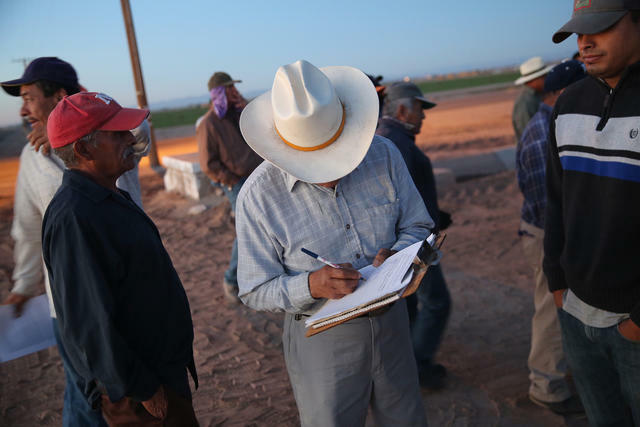 Mexican day laborers sign their names to a list before starting work in the fertile Imperial Valley. Even as other parts of the state rebounded from the Great Recession, Imperial County has lagged behind. Wedged in California's southeast corner, it has the state's highest jobless rates. With abundant water and low power costs, it doesn't seem right that industry fails to flourish there, locals say. "We're a little bit isolated," one official suggested. "We've always been thought of as an agricultural community, so industry has never really taken a good, solid look at us."